You can finally prove to your buddies how big that fish really was when you're wearing this funny nice bass trophy head costume. The costume is a 100% polyester single piece that slips over the head. It has a wood-finish look around the fish with a golden tag below that says "nice bass 10/31". The fish head fits around the head and juts out slightly from the plaque. 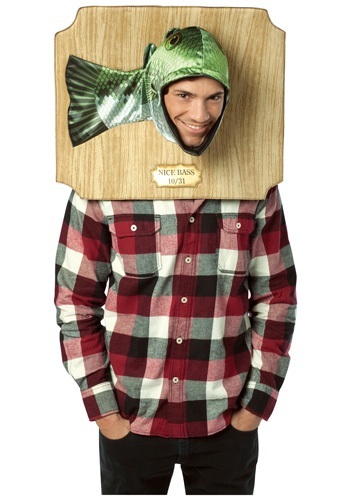 This funny costume is the perfect way to show off your angling skills this Halloween!